The moon, with a mean radius of 1,737.10 km (0.273 Earths), is the only natural satellite of the Earth. It is always showing the same face to Earth; the near side is marked with dark volcanic maria among the bright ancient crustal highlands and prominent impact craters. The Moon’s gravitational influence produces the ocean tides and the minute lengthening of the day. Lunar orbiters have contributed to confirming the discovery of water ice in permanently shadowed craters at the poles and bound into the lunar regolith (a layer of loose, heterogeneous material covering solid rock). 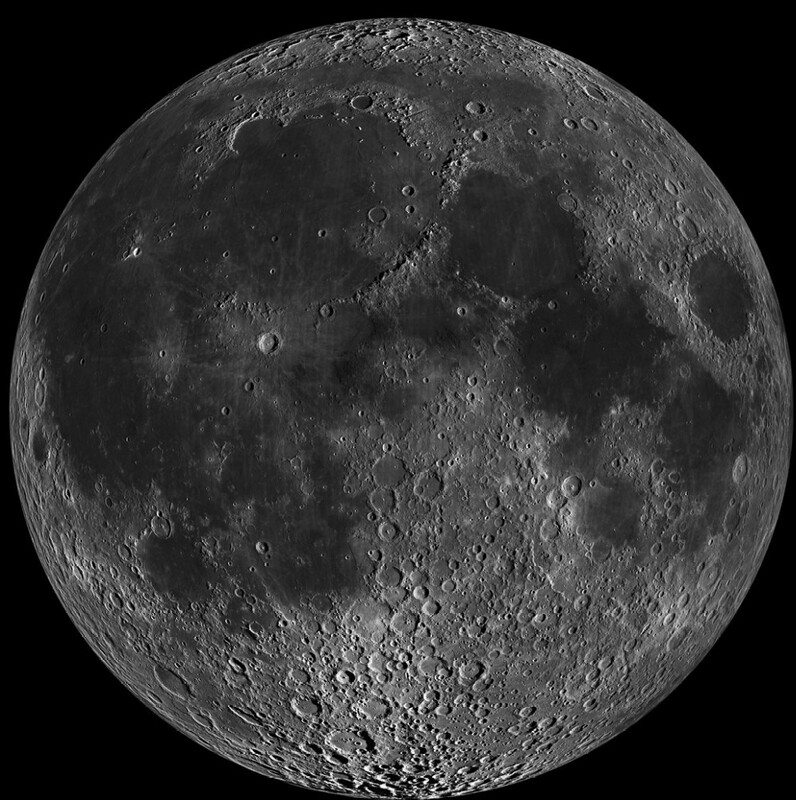 The Moon has a solid iron-rich inner core and a fluid outer core primarily made of liquid iron. Around the core is a partially molten boundary layer.